Choosing an eCommerce platform that best fits your brand or business isn’t easy. There is a wide variety of options out there. But if you ask the team at Catchfire, we’re partial to Shopify – especially John, one of our expert web developers. We picked his brain on the ins and outs of Shopify, and why he thinks it’s a standout resource in the eCommerce world. Shopify is one of the most successful eCommerce platforms on the market. With it’s quick, easy setup, and “no technical experience required” allure, it’s easy to see why. Using Shopify, you can set up an online store to sell and organize your products, customize your shop, receive payments, and track orders, all online. Shopify provides all the software and hosting, which allows you to focus on selling your product. When it comes to handling sensitive customer information like credit card numbers, protecting your customers is critical. Brands that don’t pay a steep price in lost customer goodwill and public perception. 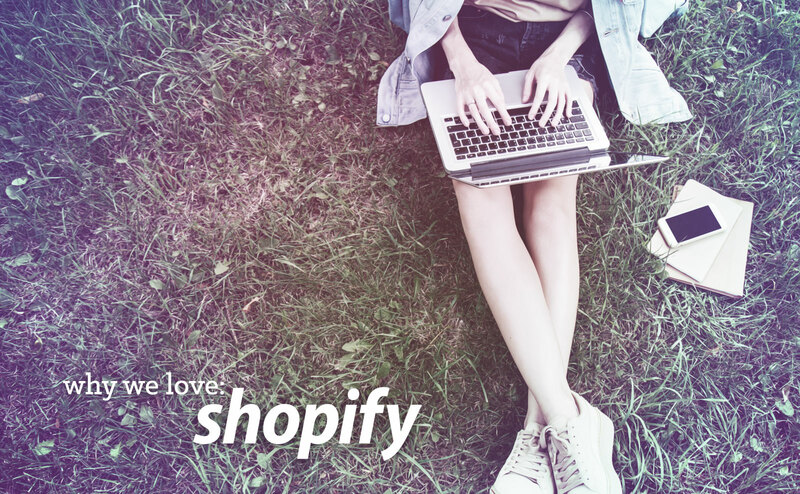 Shopify provides security, reliability, and speedy service in a fast-paced industry. Big on being there for their customers, Shopify is available 24/7 via phone, email, and web chat. “If you build it, customers will come…” With Shopify, you can customize your shop any way you wish to. According to John, the core of the Shopify experience is the look and functionality of your web shop. Shopify’s huge variety of free and premium themes can be customized without needing a developer or having to touch code. According to Shopify expert Gavin Ballard, merchants and developers shouldn’t ignore the impact of UX, performance, and accessibility on search ranking of their site. Sales and conversions also factor in, especially as mobile gains an even stronger presence. Shopify delivers everything that a customer could get from an actual in-store experience. Users can create exclusive discount codes, sell gift cards, and allow customers to add reviews for your product. Users can also stay organized by being able to search through, filter, or sort products. Shopify provides a full interactive experience between customer and shop owner, all through the click of a mouse. Every marketer eats, sleeps, and breathes the term “SEO.” As an inbound marketing agency, we know that without dialed in SEO, your site ceases to exist – no matter how good your product is. Shopify’s Search Engine Optimization helps your website show up in search results, so your customers can find you. It’s crucial that your site has the same level of form and function on mobile devices, now that traffic from mobile outpaces desktop traffic. All Shopify’s themes are mobile responsive, meaning that your store looks great on any and all platforms. On Shopify, your site will be accessible anywhere, anytime. Shopify is one of our most critical tools to help a business to create a powerful online presence. Interested in starting up your own store to get your brand or business out there? Not only is Catchfire a Shopify partner, we specialize in creating custom Shopify themes to fit the functionality requirements of our clients. Want to see a little of our work? Soapwalla, Harrisville, and Osgoode Marley are all custom themes the Catchfire Creative team built.